We celebrate that presently communities and businesses have come together on a common platform when it concerns the environment. They all need economical recycling services that offer them a sustainable, efficient solution for achieving their common goal. San Jose E-Waste is proud to be associated with such a noble cause in the entire Bay Area. We offer the best Recycling service to all of our esteemed clients. We ardently follow all the rules and regulations set by the regulatory authorities and agencies. We understand the significance of recycling and the positive impact it has on our environment. We all surely want to make our world a better place to live in… and Recycling is one of the steps to ensure this! With effective recycling, we can reduce the electronic waste by approximately 25%. Recycling alsot has a huge role in saving natural energy and resources. This is definitely the NEED OF THE HOUR! Boards containing precious metals like silver or gold can be reclaimed as they are one of the most cost-efficient recycling media. 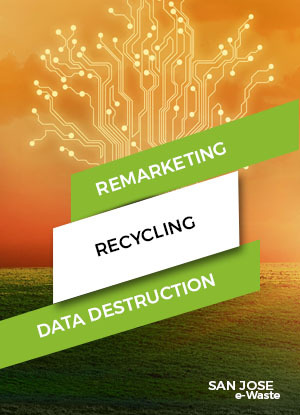 Features to be considered in conjunction with recycling the circuit boards: the market value of the material, capacity of the material and the potent dangers of the waste that is produced. For us, our clients’ trust is everything. We put in all the efforts to convert the unused and old items into write offs that are tax deductible! 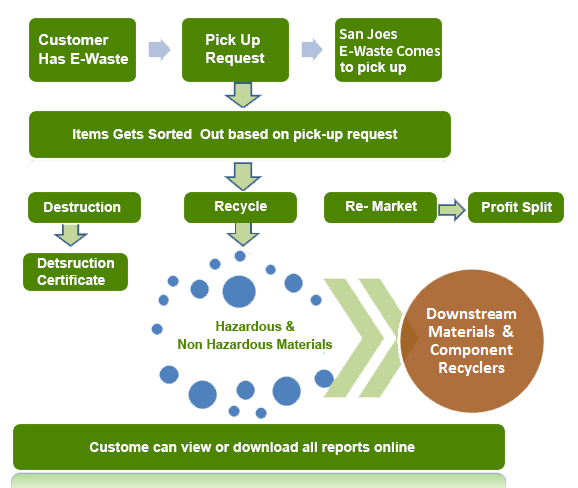 Customers can directly contact us to initiate their pick-up request for e-waste. On reaching the client, IT equipment, Medical equipment, e-waste and others items are brought to our premises for sorting. Some of the items are also donated or remarketed. We follow no Landfill Rule and are proud of this fact. We handle the recycling of computers, printers, servers and other e-waste materials. We keep adequately-sized storage units to handle larger servers or other machinery that is deemed appropriate to be recycled. We take care of everything, so leave it on us! Material compatibility is not a major issue as most of the components of the printed circuits are stable. We cannot, however, deny the fact that there are certain unstable and toxic components comprising of mercury and lead, which we do handlewell. We have been in business for the past 15 years and are experts in what we do. When it comes to recyclingcircuit boards, the concerns related to health and safety are minimal. Our professional and streamlined process assures this, although, we do advise our customers to see a health specialist, before they use any such technology.